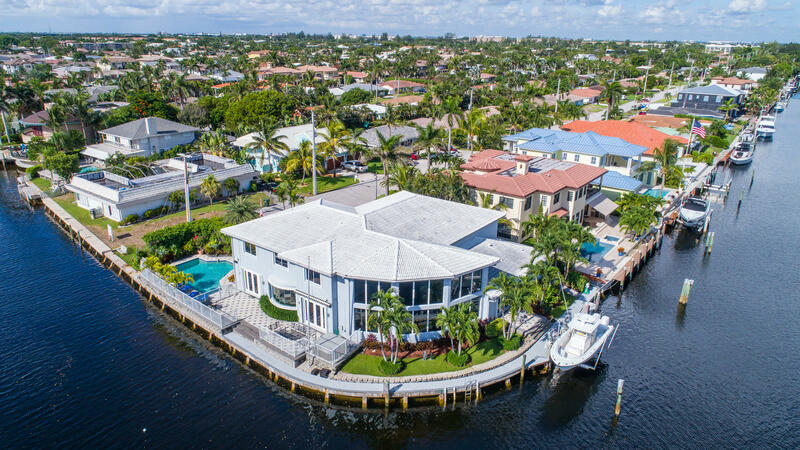 All BOCA HARBOUR 6TH SEC homes currently listed for sale in Boca Raton as of 04/21/2019 are shown below. You can change the search criteria at any time by pressing the 'Change Search' button below. "Endless water views! One of Boca Raton's premier point lots! Move in or renovate this stunning family home with over 200' of waterfront. Over 6,600 sq. ft. of living area with 5 bedrooms and 6 1/2 baths. Two story double window wall in the living room, Formal dining room with French doors overlooking waterfront terrace, large eat in kitchen with adjoining family room all overlooking the pool and waterway. First floor waterfront master suite. Additional first floor bedroom with private bath. There are 3 waterfront bedrooms upstairs, each with private baths, as well as a very large family room/entertainment area."